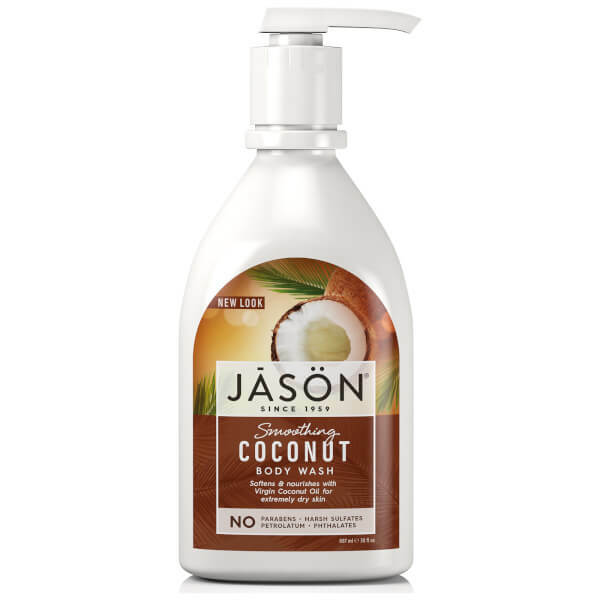 Refresh skin from top to toe with JASON's Coconut Body Wash; a revitalising formula that works to eliminate excess oil, dirt and impurities, without over-drying or uncomfortable tightness. Infused with botanical cleansers, Coconut Oil and Shea Butter, the shower gel deeply nourishes skin, whilst antioxidant Vitamin E and Polyphenols help to restore and protect. Skin is left soft, smooth and supple with a delicate fragrance. Apply to damp skin in the bath or shower. 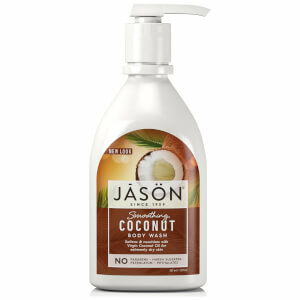 Gently massage into fine, creamy lather and rinse clean with warm water. Please Note: For external use only. Keep out of reach of children. Avoid direct contact with eyes. Aqua (Purified Water), Coco-Glucoside, Cetyl Alcohol, Glyceryl Stearate SE, Glycerin, Stearic Acid, Lauryl Glucoside, Sodium Coco-Sulfate, Citrus Aurantium Dulcis (Orange) Peel Oil, Cocos Nucifera (Coconut) Oil*, Ricinus Communis (Castor) Seed Oil, Tocopheryl Acetate, Allyl Caproate, Butyrospermum Parkii (Shea) Butter, Ethyl Butyrate, Isoamyl Butyrate, Sodium Sulfate, Xanthan Gum, Vanillin, Phenoxyethanol, Potassium Sorbate, Sodium Benzoate, D-Limonene *Certified Organic Ingredient.